We prepare ourselves to enjoy magical parties. For this reason, in Hnos. Montoya we propose some special exits in our buses to discover the Christmas Lighting in Madrid this 2018. An activity that we repeat every year and that is specially designed for schools, residences, day centers, associations and groups who wish to admire the Christmas decoration in a comfortable and surprising way. The decoration was lit on Friday November 23 coinciding with the remodeling of the Gran Vía and Madrid will shine even more until the Night of Kings. From Sunday to Wednesday, the lights will be on until the 23h. From Thursday to Saturday until the 24h. There will be special schedules during the holidays of the Christmas calendar. Different themes. The lights of Calle Alcalá evoke the starry sky of Madrid. Meanwhile, the lights of Serrano Street, full of color, are inspired by the world of fashion fabrics. There will be new ornaments for the firs of the Red de San Luis, Fuencarral and the squares of Callao and Colón. 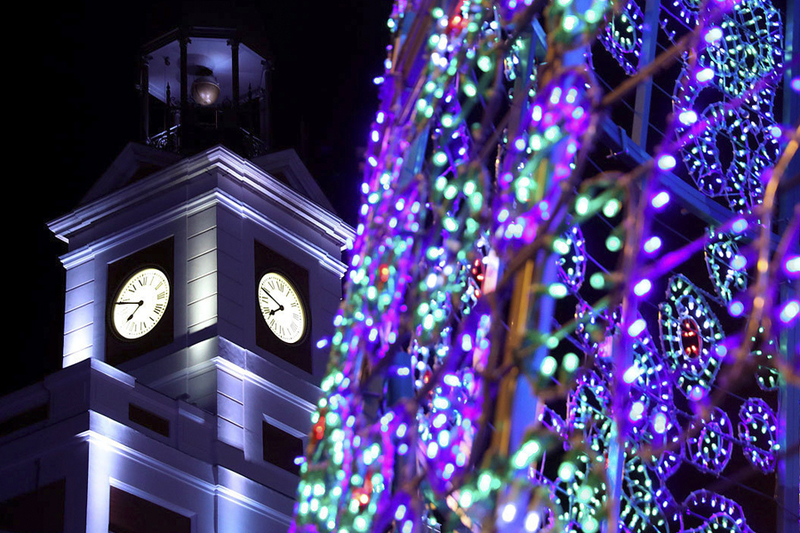 Christmas lighting in Madrid will once again feature cherry blossoms in various areas of Madrid such as the Glorieta de Carlos V, Matadero and District Municipal Boards. The decoration comes this 2018 to new areas of the district Center, Usera, Chamberí or Arganzuela. Christmas lighting in Madrid is an essential visit. But in 2018 there is another location that is well worth a trip. Torrejón de Ardoz is the First European capital of Christmas next to the Belgian city of Liej. With 40 different points of interest, surprise the videomapping show on the facade and the church tower and dozens of attractions and shows that make young and old dream. Madrid, both its capital and other corners of the Community, are already on fire. And we, at Hnos. Montoya, are ready to share the wonderful Christmas spirit. Are we taking you?